It was touch and go whether this match would go ahead. The weather had not been promising during the week with the odd flurry of snow and frequent frosty mornings. Thankfully the football Gods looked down kindly on us and the freezing temperatures promised for the weekend didn’t quite materialise, though for those coaching, refereeing and spectating, it was cold enough. A strong line-up was available again with only Blake not able to play and Oscar on county duty. So Noah was able to play a full match in goal with Daniel, Martin, Thomas and Jack in defence to start. In midfield was Charlie W, Harry, Euan and Charlie P. Starting up front would be Sam and Lucas. It was a perfect start for the away team who found themselves in the lead with barely a minute on the clock. Man of the match Martin (who was solid in defence all morning) raced from defence and played a ball into the path of Charlie P who clinically shot through the keeper’s legs. Sam and Charlie P went close again to extending the lead but both attempts were just off target. Then on the 13th minute Charlie P got his second of the game after some excellent running from Lucas who then passed a precise ball in for the winger to finish. A few changes were made with Ben coming on for Euan and Will on for Jack. 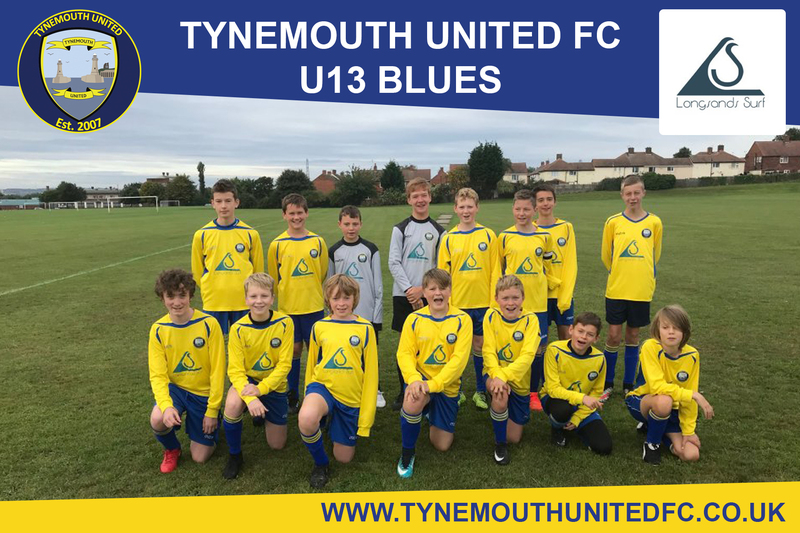 Tynemouth scored a third goal just before halftime after Charlie W powered his way to the opposition’s corner and then crossed for Lucas to fire home. It had been a superb, commanding performance so far and the boys kept up the pressure in the second half. A few more changes were made with Sam coming off and Charlie W moving up front and Euan slotted back into the centre of midfield. It was Lucas this time who got the ball rolling coming close to getting his second goal only for it to be cleared of the line. Thankfully we didn’t have to wait too long for the next goal. Tynemouth had just forced a corner and Thomas directed an excellent header towards Euan who duly nodded in past the keeper. Straight after the goal Charlie W went very close after a through ball from Euan was struck agonisingly wide. Jack came back on and moved into the centre back position with Thomas coming off for a well-earned rest. Charlie P who was emphatic today, completed his hat trick after an excellent move involving him and Harry in the 45th minute. Less than a minute later it was Charlie W who got in on the ‘goalscoring’ act with his first goal of the morning, and the goals kept flowing, this time from Haltwhistle who scored after some good work from their number 10 who played a ball beyond our retreating defence for the striker to score. Not bothered by the slight setback Euan came close with a lobbed shot that almost beat the keeper. Charlie W got his second after a superb loss cross from Harry allowing the striker to shoot home from close range. Sam was back on for Lucas and soon won the team a penalty after dribbling past a defender who caught him with a late challenge. Sam unselfishly allowed Charlie W to dispatch the penalty and complete his hat trick also. An excellent all-round performance from every player this week with Martin heading up a superb defence and well earned hat tricks from the two Charlies.